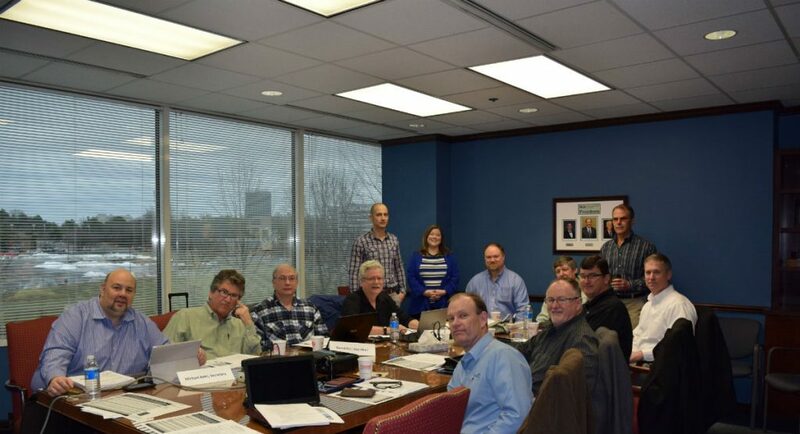 NIA’s committees address current issues affecting all segments of the commercial and industrial insulation industry and give members an opportunity to share industry knowledge and advance the objectives of each committee. Committee participation is limited to NIA members. To join NIA and start participating in a committee, please visit our Join NIA page. To review minutes from any of the committee meetings, please log in to the Members Only portal. Purpose: As manufacturers of products and services, the Associates strengthen and expand the insulation industry through education, technical assistance, and association membership growth. Educate NIA members and industry segments on their products and services. Expand the industry through the promotion of a greater use of insulation and accessory products. Identify and help secure new Active and Associate members for the Association. Work closely with each operating committee. Vice Chairman: Mellanie Askew, Coverflex Mfg. Purpose: To promote the value of the distributor/fabricator to the mechanical insulation industry, help grow the industry, and provide ongoing education and training to the distributor/fabricator members. Partner with the manufacturers, contractors, and others to strengthen the use of distribution/fabrication for the sale of mechanical insulation products and services. Research the latest distribution technology, sales, and business methods and disseminate that information to the mechanical insulation industry. Target and attract new distributor/fabricator members. Incorporate the NIA Strategic Plan into the committee’s activities. Educate Distributor/Fabricator members about safety best practices. Vice Chairman: Mike Hill, Performance Contracting, Inc.
Purpose: NIA is committed to the health, safety, and welfare of its members, customers, and the insulation industry. Through professional safety leadership, the committee will actively promote the highest standards of safety and health excellence to ensure a safe working environment. Obtain and interpret newly promulgated and/or proposed statutes and regulations and their potential impact on NIA members. Advise NIA members in establishing and implementing workers’ compensation programs, including effective accident and injury prevention programs. Administer NIA Theodore H. Brodie Safety Award program. Formally represent NIA’s position on proposed new standards by government, which will impact the insulation industry. Chairman: Rudy Nigl, L & C Insulation, Inc.
Vice Chairman: David Patrick, Apache Industrial Services, Inc.
Purpose: To promote the growth of the industrial and commercial merit contractor through education, training, and network exchange. Promote the implementation of worker training opportunities through associations available to merit contractors. Address the challenge of union organizing activities. Utilize the NIA website to communicate merit shop activities. Purpose: The Laminator Committee is composed of laminators of metal building insulation who are dedicated to developing and promoting industry standards and educational programs that will help members become more professional, productive, and profitable. Purpose: To serve as a forum for identifying and addressing technical issues confronting NIA members and industry. Discuss technical issues facing NIA members and develop responses to such issues as requested by the Board of Directors. Assist in the review process of all technical issues in Insulation Outlook magazine and other NIA publications and educational programs. Provide technical information to the design, engineering, construction, and manufacturing communities and monitor information at technical organizations such as ASTM, ASHRAE, NFPA, and NIBS. Be a resource for the NIA Foundation for accurate and credible industry communications. Promote the positive benefits of mechanical insulation and discourage negative dialogue. Secure more insulation manufacturers, distributors, fabricators, and contractors to participate on the Technical Information Committee. Provide proactive output of technical information to benefit the entire NIA membership. Update and maintain the Technical Glossary, Insulation Materials Specification Chart, Guide to Insulation Product Specification, and all sections on the NIA website. Purpose: To promote the growth of industrial and commercial union contractors through education, training, productivity enhancement, and strong union relations. Increase the share of union contracting in the industrial and commercial insulation industry. Maintain continuous close liaison and dialogue with the officers of the International to achieve positive actions and results. Assist Union NIA members with programs and solutions that will help them become more productive with their union counterparts and more effective as managers. Discuss and analyze key clause, wage, and fringe benefit packages. Encourage NIA Union Contractors to support the insulation industry International Apprentice and Training Fund.Promote union insulation contractors for membership in NIA. Purpose: To offer a forum for young professionals to grow leadership skills, network with peers, gain industry information, and provide fresh insights and feedback to NIA management and the Board of Directors. Participate at NIA events and committees. Increase the attendance in the Committee (YPAC). Develop leadership and provide an opportunity to identify future leaders. Confirm speakers and develop valuable programs for YPAC meetings. Appoint one YPAC member each year to the Convention Committee. Address the perceived value of young professionals’ participation in NIA. Provide NIA management and the Board of Directors with fresh insights, innovative ideas, and strategic advice on a variety of topics including: NIA meetings, educational needs, communication methods, industry recruitment, and NIA’s Foundation.